Classical music poll: What classical music best commemorates 9/11? Today is Sept. 11 and we commemorate 9/11 – by which, of course we in America, and many other people around the world, mean simply and in short-hand Sept. 11, 2001. That is the day, nine years ago, when the Twin Towers in New York City were brought down by terrorist attackers in jets who also attacked the Pentagon and might have hit the White House or Capitol if not for the brave people on United Flight 93. I won’t post pictures of any of the destruction from that dreadful day: It is still fresh enough in my mind. But the question haunts me: What piece of classical music do you think best expresses your feelings about that day and those attacks? So many pieces of music come to mind: Hadyn’s “Mass in a Time of War,” Beethoven’s Ninth Symphony with its “Ode to Joy,” and his “Missa Solemnis”; various pieces of chamber music and piano music by Schubert; piano concerti and opera arias by Mozart. 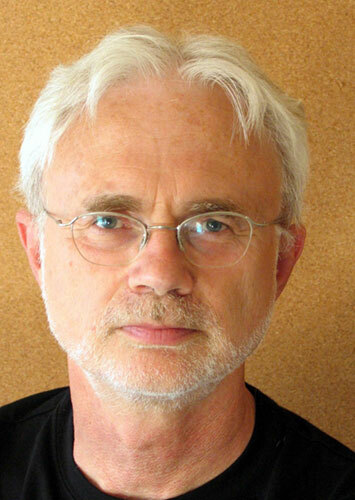 American composer John Adams (below) even wrote his Pulitzer Prize-winning work “On the Transmigration of Souls” specifically about the event. One year saw a community sing in Carnegie Hall, arranged by the Juilliard School, of the Mozart Requiem, which has been used for the funerals of Haydn, Mozart, Chopin and Napoleon. Myself, I tend towards the small and the quiet, toward intimate remembrance, even though I lost no family or friends in the attacks. I will probably play or listen to one of the more doleful Chopin mazurkas, preludes or nocturnes. Or maybe to a late Brahms intermezzo. Or perhaps to a choral and orchestral work by J.S. Bach. This much is sure: I will definitely NOT listen to Chopin’s famous Funeral March from his Piano Sonata No. 2 or Beethoven’s funeral marches from the Symphony No. 3 “Eroica” or Piano Sonata Op. 26. I want quietude and nobility and comfort, not more drama and fire. If I want to go big, chances are I will listen to either the Brahms “German” Requiem or the Faure Requiem. Here is wishing all of you comfort and peace and forgiveness. What music classical music would you turn to, or suggest others turn to, on the occasion of 9/11?